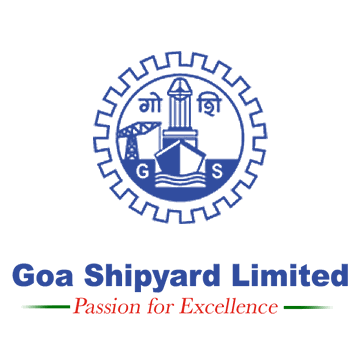 Goa Shipyard Recruitment 2018 - Below are various recruitment notifications published by Goa Shipyard Limited / goashipyard.co.in. As of now, we don't have any active recruitment notification by Goa Shipyard featured here. We may update as soon as the organization announces a new job notification. If you are looking for any information related to previously organized recruitment drives by Goa Shipyard, you can browse through previous job notifications mentioned below and get the new updates or information you are looking for. Goa Shipyard Recruitment 2018 - Apply Online/ Offline for Director (CP, P & BD) Post in Goa Shipyard, Goa on Absorption. Online Applications are invited by Goa Shipyard Limited from 31 Dec 2018 to 18 Jan 2019 till 03:00 PM for 1 vacancy. Goa Shipyard Recruitment 2018 - Job notification for 20 Graduate Engineering / Technician Apprentice Posts in Goa Shipyard, Goa. Applications are invited by Goa Shipyard Limited on or before 15 Nov 2018 for 20 vacancies. Goa Shipyard Recruitment 2018 - Apply Online for 35 MT, OA, Asst Supdt & Other Posts under Special Recruitment Drive in Goa Shipyard, Goa. Online Applications are invited by Goa Shipyard Limited from 08 Oct 2018 to 08 Nov 2018 05:00 PM for 35 vacancies. Goa Shipyard Recruitment 2018 - Apply Online for 14 Sr Manager, JHT, Cook & Other Posts in Goa Shipyard, Goa on Direct Recruitment. Online Applications are invited by Goa Shipyard Limited from 01 Aug 2018 to 28 Aug 2018 05:00 PM for 14 vacancies. Goa Shipyard Manager, Office Assistant Recruitment 2017 - Latest job notification for 11 Senior Manager, DM, Office Assistant & Other Posts in Goa on Temporary Basis. Applications are invited by Goa Shipyard Limited on or before 16 Oct 2017 for 11 vacancies. Goa Shipyard Recruitment 2017 - Latest job notification for Management Trainee (Marketing) in Goa. Applications are invited by Goa Shipyard Limited before 08 Jun 2017 for 1 vacancy. Goa Shipyard Recruitment 2017 – 149 Posts of Non-Executive Cadre: GSL invites online applications for the recruitment of 149 various Non-executive Cadre from eligible candidates.